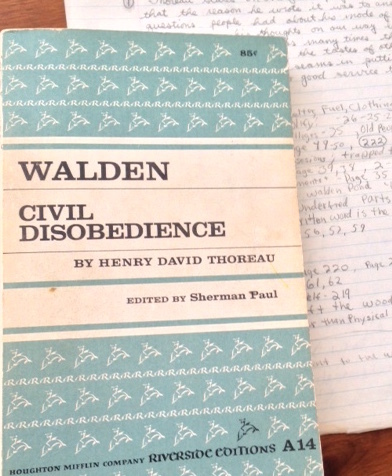 My 85-cent copy of “Walden” and notes from 44 years ago. One summer, I read it on the tiny screen of my personal digital assistant (remember those?). It was a Dell Axim, and you could synch it with your PC. This allowed me to transfer files, including eBooks. I liked the fact that I could highlight passages and bookmark pages. It reminded me of my first encounter with Thoreau and wanting to underline nearly every sentence. Of course, the first time I read “Walden,” I was a teenager, so you might expect that I highlighted passages about how most men lead lives of quiet desperation and that you should step to the music that you hear, however measured or far away. Then, too, the early 1970s seemed tailor-made for Thoreau’s brand of transcendentalism, nature philosophy, self-reliance and individualism. Among other things, Thoreau was an environmentalist, abolitionist and a model for future acts of civil disobedience by Gandhi and Martin Luther King. The Riverside Editions printing of “Walden,” first published in 1957, was edited by Sherman Paul, who wrote an introduction that I’m sure most high school students for generations found tedious and boring. I suspect most skipped over it and headed straight for the work itself. Not me. I have dutifully reread Sherman’s essay each time I pick up my dog-eared copy, battling yawns and the urge to flip through his fairly dense analysis. It’s good preparation for what lies ahead, I tell myself. With each reintroduction to “Walden,” I marvel at Thoreau’s audacious experiment. I think about him actually living in a hut in the woods for two years. Was it really out of principle? 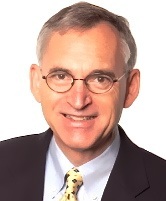 Was he worn down from all his efforts at teaching and publishing? Was he in mourning for his brother’s death? Was he tired of making pencils (yes, he did work for a while in a pencil factory)? Or was he just a weird guy? There is something both heroic and sad about a man in his prime living alone, planting beans and writing poetry. In my latest excursion, I am reminded by Paul that Thoreau’s book uses the seasons as its literary framework. The chapters correspond to the seasons, mirroring Thoreau’s time at the pond and his spiritual growth. The spring is a time of rebirth when Thoreau is at his most exuberant and freshest, followed by the close living and natural beauty of summer, the gathering of fall and the solitude and turning inward of winter. It’s been over four decades since I first read “Walden.” I am entering the fall of my life, I guess, and some of the passages that excited me in the spring of my youth no longer move me like they once did. Now is the time for my gathering and reflection. This time when I revisit “Walden,” I will look for new clues about where I am now, how far I have come and where I am headed. There is still time to think about new vistas, new horizons and new dreams. This entry was posted in Happiness, Purpose and tagged life lessons, reading, seasons, Sherman Paul, Thoreau, transcendentalism, Walden. Bookmark the permalink.